Sandstone pink BlackBerry Pearl at AT&T | BlackBerry Blast! 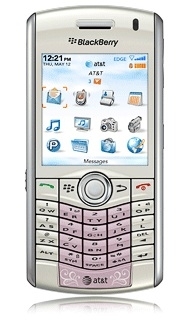 AT&T is now offering a Sandstone Pink BlackBerry Pearl 8110, and they've listed it on their website. The Sandstone Pearl 8110 sells for $150 on a two-year contract, but you get a $50 rebate with hat. That takes the final price down to $100. Not bad if you like the Pearl.